During autumn, some trees lose their leaves, revealing gradually a complex and beautiful system of branches. These trees are called deciduous trees. Why do you think most of the trees lose their leaves during autumn and winter? One or more toilet paper rolls. 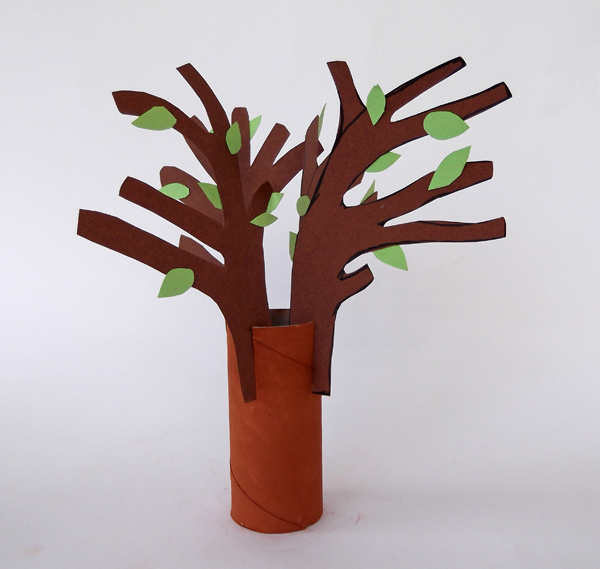 For each tree you need one paper roll. 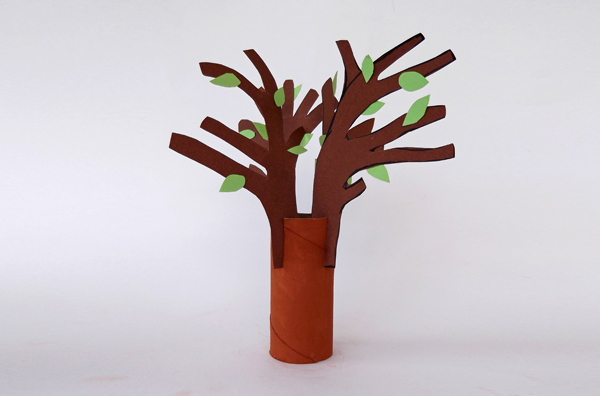 Colored papers: Brown for the trunk and the branches and green for the leaves. 1. 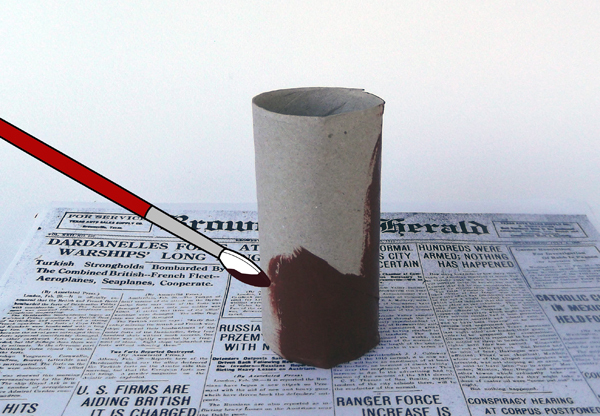 Use a large brush and watercolor paint to paint the paper roll brown. 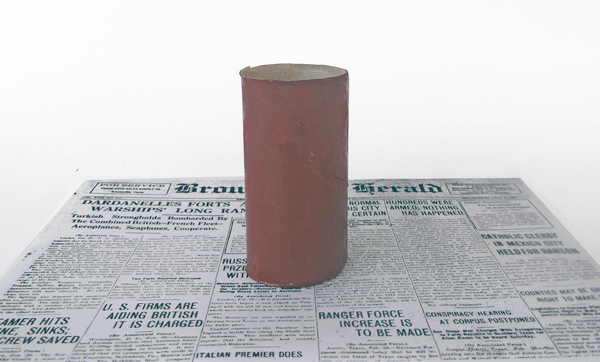 Make sure you protect your working surface with old newspaper sheets or with a plastic membrane. 2. Let the paint dry for a few minutes. 3. At the top edge of the paper roll make four slits (around 2 cm long). Inside these slits, you will slide the branches. 4. 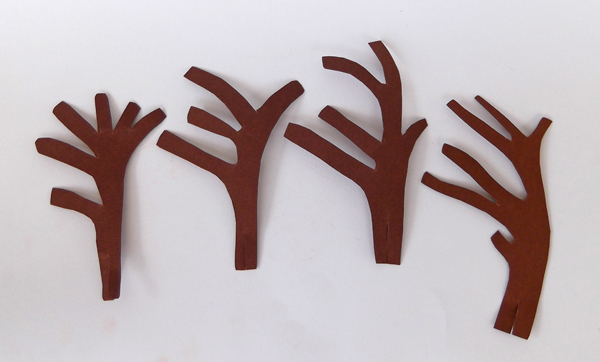 Lets make the branches. 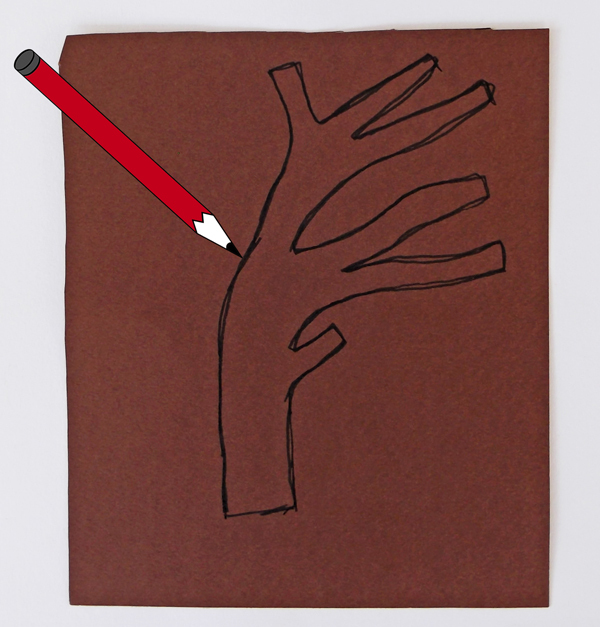 Take a piece of brown colored paper and sketch with pencil the shape of a tree branch. 5. 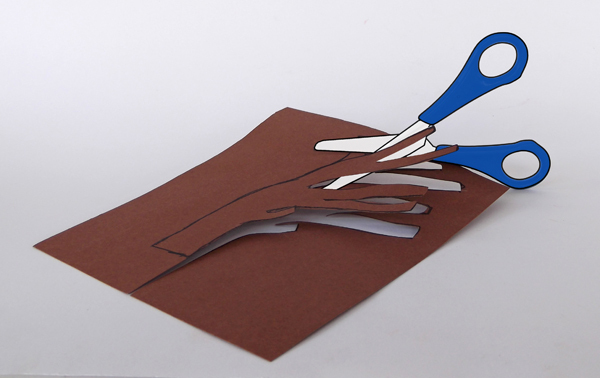 Cut with scissors along the line. 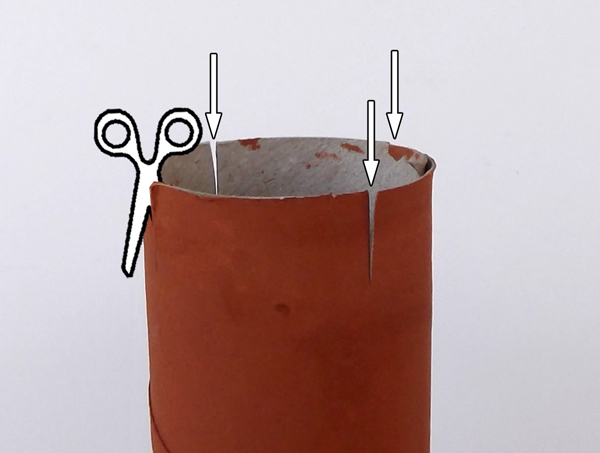 6.With scissors make a small slit at the base of the branch. 7. Make in total four branches for the four slits. 8. 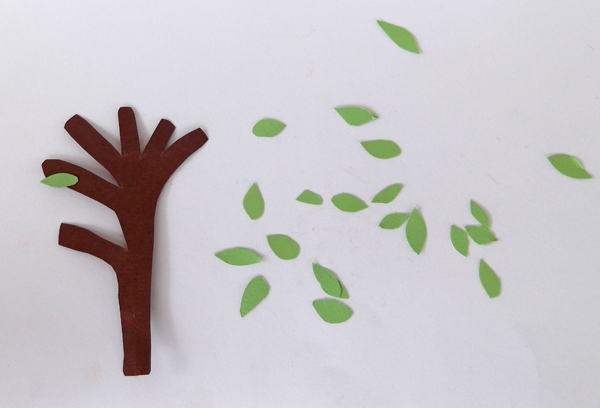 Cut out from the green paper a few leaves and glue them onto the branches. 9. 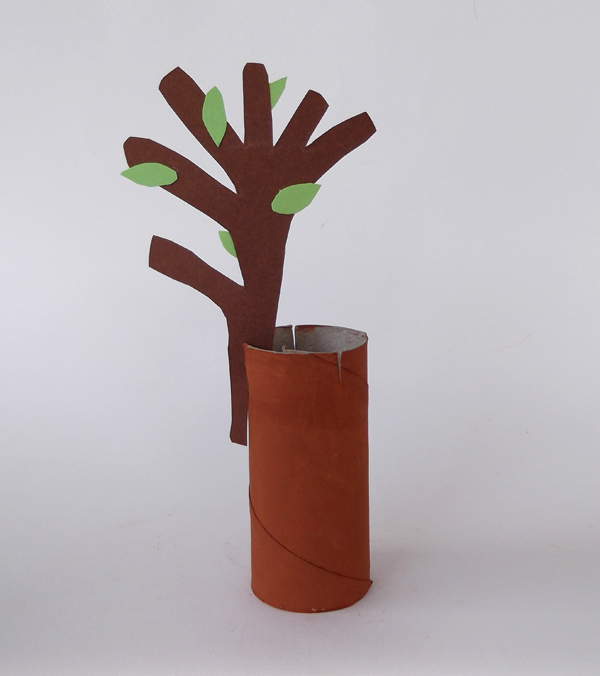 Slide each branch into a slit on the toilet paper roll. There is no need to use glue. 10. The tree is ready.